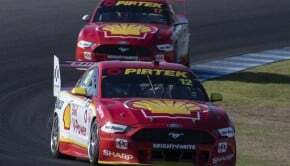 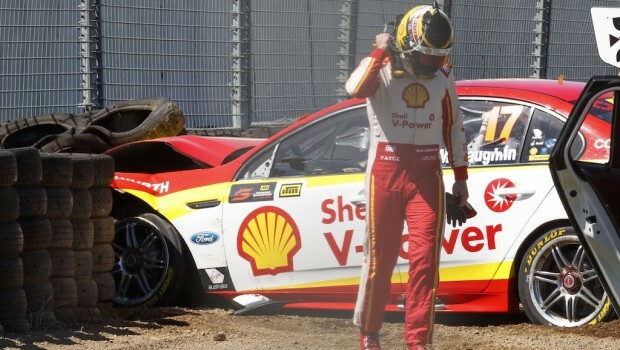 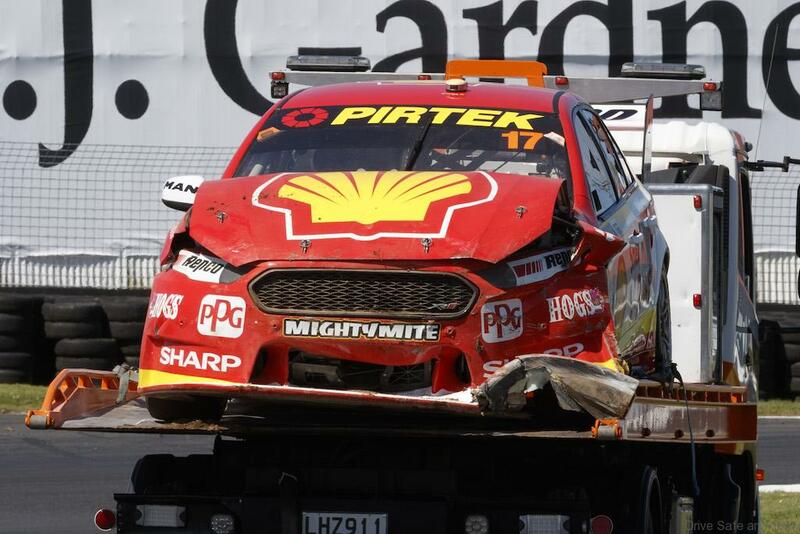 Supercars Championship leader Scott McLaughlin crashed in the opening stage of second practice today for the ITM Auckland SuperSprint. 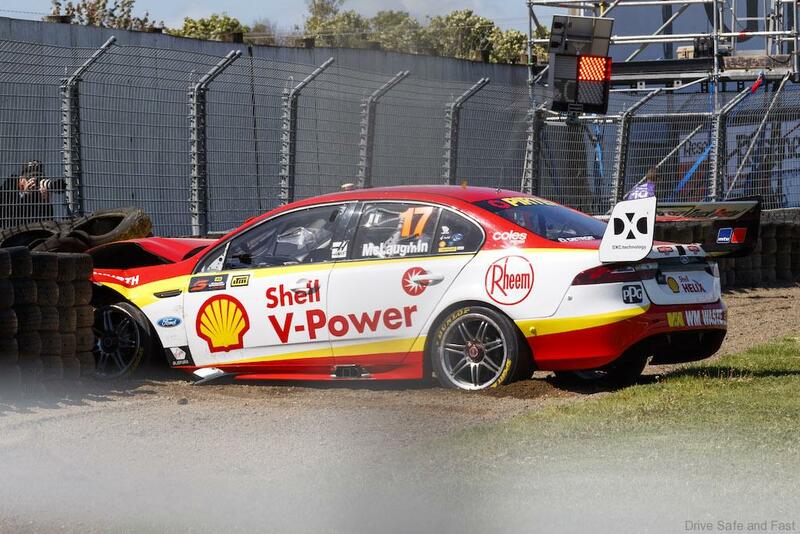 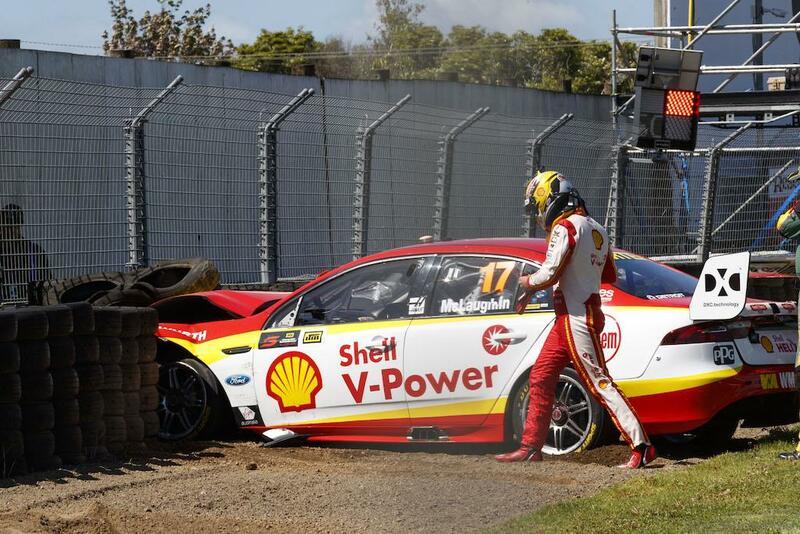 After setting the pace on Friday morning, McLaughlin crashed at Turn 3, three minutes in. 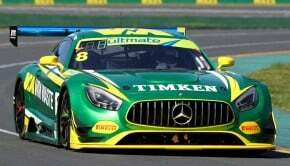 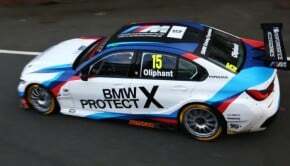 The session was red-flagged again inside the opening 10 minutes, when Andre Heimgartner’s Nissan stopped at pit entry. 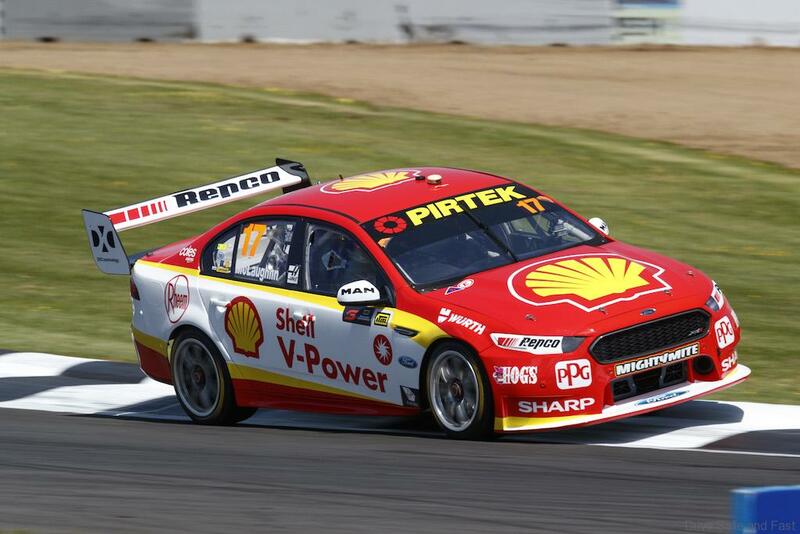 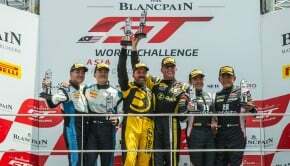 After an interrupted first half, Nick Percat led the way with a 1:03.2487s, 0.0098s clear of Scott Pye, followed by Whincup, Fabian Coulthard and van Gisbergen.